Ironbark | What is Enterprise Resource Planning (ERP) Software? As an ERP software provider, Ironbark are often posed with the question, ‘What is Enterprise Resource Planning?’. ERP software is basically a management system that organizations use to amalgamate the information and data from all aspects of their business, such as manufacturing, wholesale, accounts, marketing, human resources, and more to accommodate the flow of real time information throughout the entire company. ERP is often referred to as a solution, this is because the software facilitates the streamlining of information to standardise processes, shorten business decision making cycles, increase user productivity, improve internal collaborations by automating work tasks, and creating a real time environment for information. ERP software also aims to improve external customer relationships firstly through the improved efficiency and organisation of internal affairs and secondly the ease of access to information from all business departments. What sets Ironbark Software ahead of the pack is their ongoing commitment to research and development. The fact that R&D is an expensive venture inhibits most ERP software providers from entertaining the notion. However it is only through research and development that new methodologies are discovered and paired with the most advanced technology to create the most flexible and efficient solutions. It is Ironbark’s philosophy to constantly strive to lead the software industry, and not rest on their laurels, through their dedication to the research and development of ERP software for specific industries. 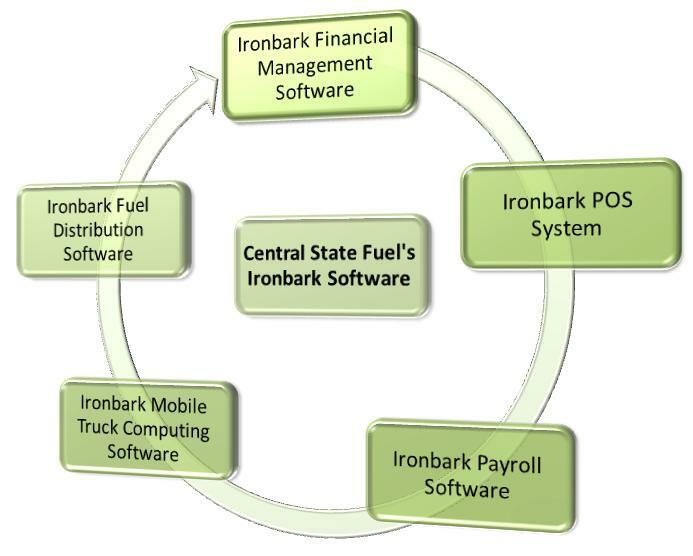 Ironbark Software provides total ERP solution packages; contact Ironbark Software today to see what they can do for you! Ironbark’s ERP software is modular in that it allows you to incorporate some systems without others. For example asset register and creditors are modules used by most customers, while fresh produce software is utilised by a specific industry. Ironbark have an array of modules customers can select, and each of these is then tailored to suit the individual client, as Ironbark do not believe in the one size fits all approach. However the company may be locked into using another POS system, this simply means the ERP software will integrate the four Ironbark modules with the third party software. Generally speaking enterprise resource planning is software advantageous to companies of all sizes, however, the larger the company and the greater the number of business facets or industries they delve into the greater the benefit of software integration and information flow. The advantage of Ironbark’s ERP software is that they are total solutions – Ironbark own and develop all of their software modules with the most advanced technology available and to specifically integrate with each other. 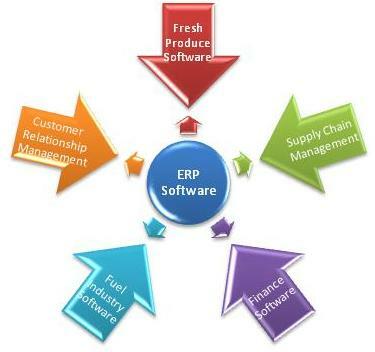 Often ERP providers will develop and own central software modules such as finance and asset register and then outsource other modules such as warehouse software, fresh produce software, or manufacturing software from a third party. The main issue with this is that it is not truly ERP software, as the integration of these modules depends entirely on the quality of the central software, and the quality of the third party applications. Therefore software developed and designed by the same company will also allow for superior integration as it is intended for this purpose. Ironbark see consulting with clients and gaining an in depth understanding of their industry and business as paramount to providing a good service and recommending the relevant software modules and methods of integration. As businesses vary so greatly customisation is vital to the implementation of all ERP solutions. 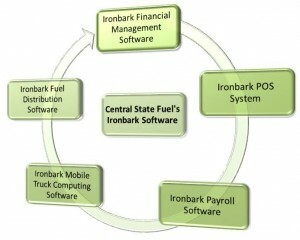 The software is created divided into modules such as finance, manufacturing, 3PL, warehouse software and etc, however, due to the unique nature of the Ironbark customer portfolio further customisation to incorporate features specific to companies or industries. Ironbark provide extensive training to clients to ensure they are knowledgeable in all aspects of their ERP systems. Training can be intensive or gradual, as the software is introduced over a period of time, clients can be taught particular modules as they are introduced. Support is the last step in the implementation process and involves ensuring the client receives all the relevant software updates, help with issue resolution, and assistance with any bugs appearing in the system. The implementation process of ERP solutions will vary depending on the size of an organisation, the number of modules they are including, the amount of customisation required, and the number of third party modules to be included, therefore this process can require anywhere between nine months to two years to complete. Ironbark use agile development methodologies that involve the customer in the process for the quickest possible turn around with the smallest error margin. One of the main benefits of ERP software is that it should integrate with third party applications. Ironbark Software understands that in particular cases clients choose or simply need to use one or more third party modules and actually develops ERP software with these applications in mind. However as noted above many ERP solution companies are not able to offer holistic integration of third party software. Configuration is often a delicate balance of what the client requires from the system, what they are familiar with, and the way in which the software was designed. Ironbark ERP software is built with easy adaptable parameters that adjust system functions to allow for easy system configuration. Unfortunately due to their outsourcing some ERP software providers are unable to configure all systems to communicate effectively with each other. For example in figure 1, Company Z may want to determine if Forklift Driver F is moving enough pallets per hour to be profitable. This requires the warehouse software to communication with the financial software to make these calculations. 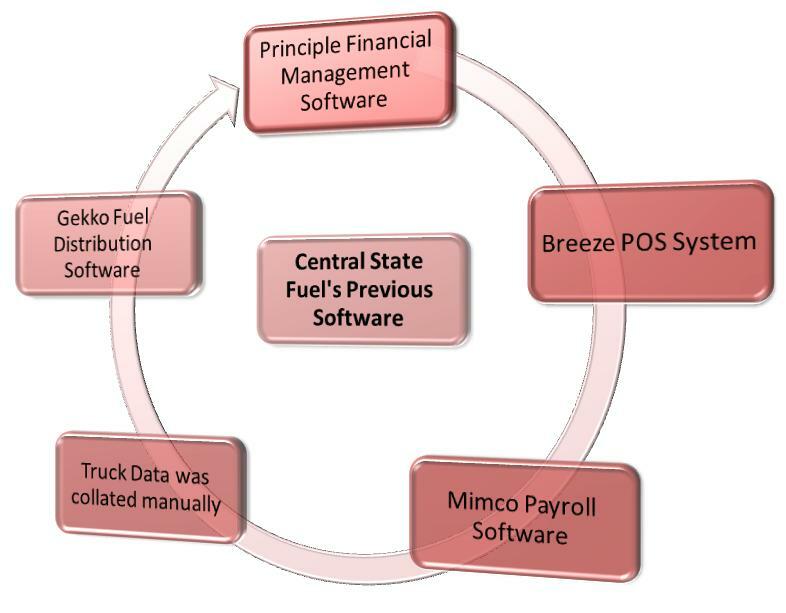 Often in these situations the warehouse software is unable communicate this information directly through to the finance software and the information has to be re-entered manually. This is the benefit of Ironbark’s ERP software, as through extensive research and development the applications are not only the most advanced and efficient available they are also fully integrated to eliminate the need for re-entering information. Enterprise resource planning came into existence as a development of manufacturing requirements planning II (MRP II). Basically MRP II is software that was developed to coordinate manufacturing processes from product planning, purchasing parts, inventory management, and quality control to product distribution. 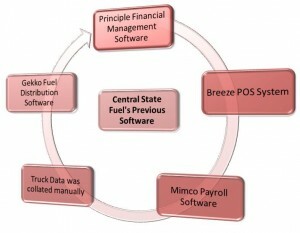 While MRP II was popular in the 1970’s ERP came into existence in the 1990’s as expanded and improved planning software. ERP quickly grew in popularity as it incorporated backend control over not only manufacturing but used a multi-module system to organize the information and data of an entire organisation across all departments to improve the efficiency of internal business performance. Another reason ERP developed at such a rapid pace, was due to Y2K as many companies saw this as an opportunity to replace their outdated systems, as ERP software was developed to recognize the millennia change undisrupted. ERP software comes in many forms for many industries including, supply chain management, cold storage, fuel management, manufacturing, warehouse management, fresh produce, timber, health care, finance, wholesaling, construction, project management and more. However only ERP software industry leaders, such as Ironbark, are able to provide total solutions that will truly integrate across all modules to improve the way in which an organisation functions by connecting the divisions of a company to promote cohesiveness and therefore productivity.